On May 14th, online poker operator PokerStars will be offering a special live event in honor of their services in the state of New Jersey. The event will take place in Atlantic City at the Resorts Casino Hotel, the land based venue that is partnered with PokerStars for online poker gaming. Titled PokerStars Run It Up Rumble, the 14th will see a full day of online poker game play as well as meet and greets with players and giveaways. During the evening hours, PokerStasr VIP Club Live will be offering drinks, entertainment and food to close out the day. Headlining the event is Jason Somerville, a Team PokerStars Pro. During the weekend, Somerville will be streaming live on Twitch as he hosts the live event. Somerville stated he is excited to be hosting the event on the east coast and he cannot wait to meet the Run it Up fans in person. The Run It Up channel of Somerville has as many as 10,000 viewers at one time when he plays online poker. To get things started, PokerStars will be offering a meet and greet breakfast that will feature Somerville as well as Barry Greenstein, Vanessa Selbst, Chris Moneymaker, Live Boeree and Jen Shahade. The schedule of Run It Up Resorts Rumble will include many events such as the No Limit Hold’em event with a $30 for players located on-site at Resorts. A $10 buy-in tournament will also be available online for anyone in the state, not just players at the Resorts Casino. 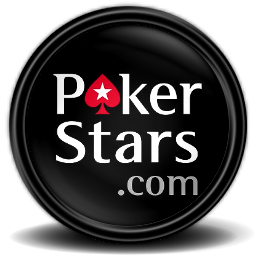 Anyone who wishes to attend the Run It Up event can purchase a ticket at the VIP store of PokerStars. Players can also win tickets by taking part in the VIP Club Live Freeroll which will take place on the 1st of May. On the day of the event, players can purchase tickets for $10, with proceeds going towards Autism Speaks.